Reliable Truss has been manufacturing wood trusses to New England builders since 1954. Reliable's marketplace currently includes Massachusetts, Maine, New Hampshire, Vermont, Rhode Island, Connecticut, New York, and New Jersey. To see projects using wood roof and floor trusses from Reliable Truss, check out our Project Portfolio. The wood roof truss line consists of a 110’ gantry table with dual roof tracker gantry rollers, of which 68’ contains the latest Mitek Matchpoint Planx system. We are also equipped with Virtek laser projectors. The lasers project the geometry of the truss to the nearest 16th of an inch, minimizing setup time and allowing more trusses to be produced per day. This enables everyone’s project to remain on schedule. 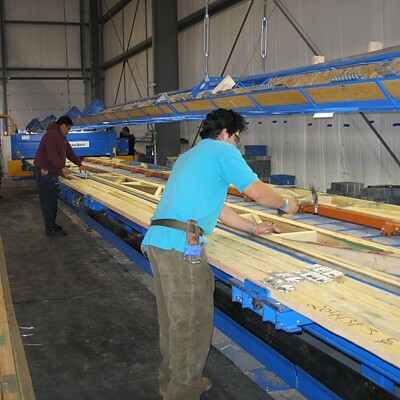 See a slideshow of wood roof trusses being manufactured in the Reliable Truss production facilities. Open web metal plate connected floor truss production is accomplished with a double end eject MiTek FloorTracker truss table. This table is only the fourth of its kind in the world. 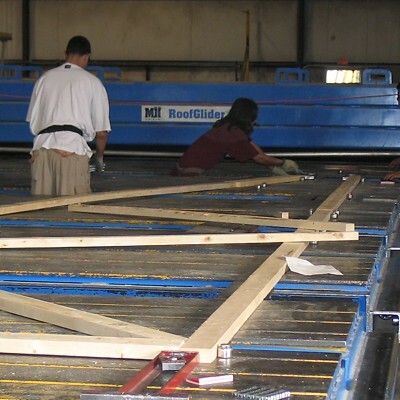 See a slideshow of floor trusses being produced by Reliable Truss. 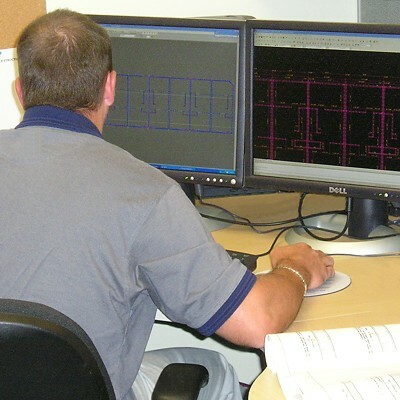 Experience enables us to anticipate issues and provide fast solutions to keep your project on schedule. In-house designers experienced in MiTek's MVP (MiTek Virtual Plant) wood truss structural design software enable us to provide quality and speed in production.